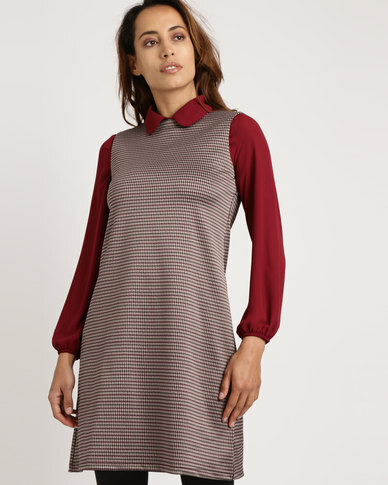 Stripes give a boost of rich texture to this Utopia Check Pinafore Dress. This shift-styled dress offers a classically feminine silhouette that narrows in the waist and falls flatteringly over the hips. Keep it classy by pairing yours with sheer stockings and ankle boots for a winter appropriate look.